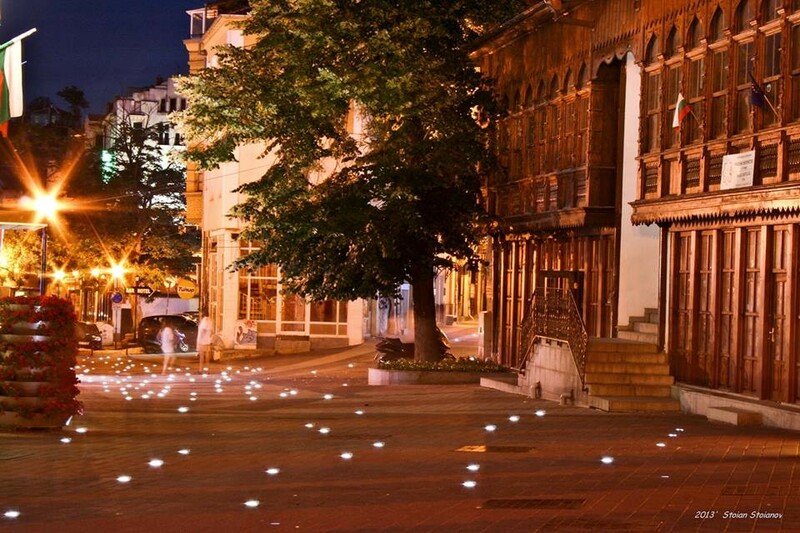 The main street “Knyaz Aleksandar I” is the main pedestrian area in the center of Plovdiv. It starts from Central Square at the hotel "Trimontsium", Central Post Office and the Tsar Simeon garden, passes Stefan Stambolov Square where is the building of the Municipality of Plovdiv, Roman Stadium (nowadays’ pedestrian zone lies over the track of the stadium) and Dzhumaya mosque. Here tourists can depart the Old Town or The Trap, and the so-called Small Main Street (Rayko Daskalov Str.) continues along the Commercial complex "Hallie", crosses "6th September" Blvd. in underpass at Maritsa Pharmacy and ends with the indoor pedestrian bridge over the Maritsa River. The pedestrian area hosts a number of shops: shops for ladies, men and children fashion, shops for cosmetics, accessories and groceries, pharmacies, bookstores. Also, cafes, restaurants and some of the sights of the city. Most of the houses on the main streets were built in the early 20th century, their architecture has elements of the Classicism, the Secession and the Postmodernism. One of the emblematic buildings is Molle Hotel, built in 1911, designed by the Italian architect Mariano Pernigoni. 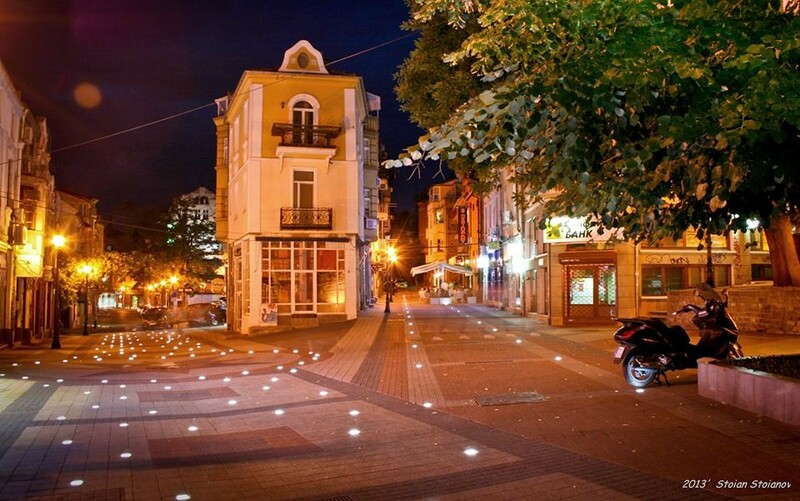 An interesting place for shopping is The Trap – a small neighborhood in the middle of Plovdiv. The neighborhood was established as a center of craftsmen around Kurshum Khan (today Hallie) and it is a maze of small streets bearing thematic names – Zhelezarska (working of iron), Kozhuharska (working of fur), Abadzhiyska (working of wool clothing), Zlatarska (working of gold) and others. Here you can get lost, but you certainly will find small shops tucked away, and workshops. Attractive to young people are many restaurants - bars, clubs, discos, pubs and cafes, "sheltered" in the neighborhood. The Trap has the ambition to become a tourist attraction and creative attraction, a neighborhood of Creative Industries in Plovdiv.